A new reality show is now casting mid westerners, 21 and over, ready for a summer vacation. 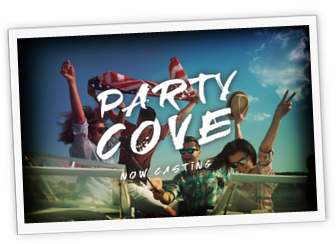 The show’s casting team is on the hunt for crazy, interesting, loud and outgoing summer vacationers who are ready to have the time of their life this summer. Doron Ofir Casting and 495 Productions are ready to shine the spotlight on the Midwest! Listen up, Missouri, Kansas, Illinois, Nebraska, Iowa, Wisconsin and the surrounding areas, we are looking for the most interesting, craziest, hottest, loudest 21+ SUMMER VACATIONERS who are ready to hit the lake and share the summer of a lifetime with us. For those in the know, spending your summer at the Lake of the Ozarks is the place to be, and it’s the one thing you look forward to all year! Whether it’s a rite of passage, an ultimate escape, or just your usual summertime lifestyle, we want to hear your plans and how you’re going to make it the greatest summer you’ve ever had. From the team that brought you JERSEY SHORE, FLORIBAMA SHORE and PARTY DOWN SOUTH, this summer, we’re heading lakeside to introduce the world to another phenomenon, and this one is totally Midwest-style, like the country has never seen! So, if you have a story to tell, we want to hear from you! Show us what you’ve got!